The big news of the day was Virgin America being added as Starwood’s newest transfer partner a solid 1:1 ratio (unlike the American Express Membership Rewards transfer ratio which is 2:1). To celebrate the new partnership, Virgin America is having a contest, along with Starwood, to win a trip to Hawaii and you can earn 250 Virgin America Elevate points just for entering. You can enter the promotion by filing out the form on MakeYourHawaiiscape.com by May 27, 2016. The prizes for the contest seem pretty solid as well including airfare and hotel for a trip to Oahu or Maui. Everyone who enters the contest gets 250 points. It took all of 30 seconds to enter (you don’t actually have to fill out a reason why you need a vacation, just select one from the list) and I’m not one to turn down free points. Even if you have no need for Virgin America points, I expect these points to turn into 250 or 500 Alaska miles down the road, depending on the final conversion of Virgin America points to Alaska MileagePlan miles. P.S. I just got back from a nice 9 night vacation/babymoon to Hawaii which is why I haven’t posted at all in the past weeks. I’m still in the process of catching up so expect a more normal posting schedule to return next week. 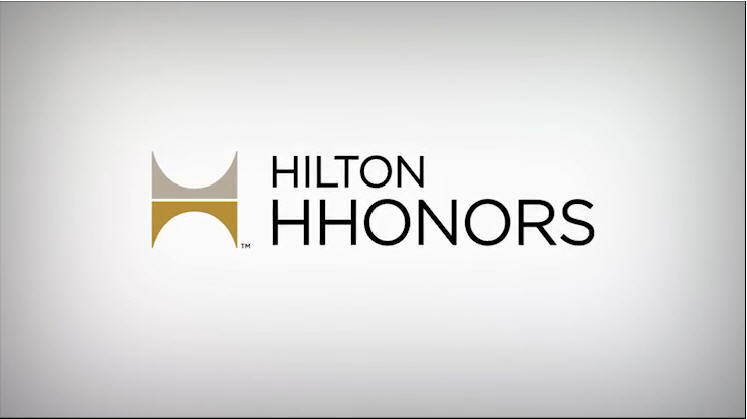 Last month, Hilton announced a promotion in which they would give members 1,000 Free Hilton HHonors points for creating a password instead of using a 4 digit pin number to log in. However due to technical difficulties, this promotion was not yet effective until NOW as the Hilton representative on Flyertalk confirmed the promotion is now active. Basically, if you changed your Hilton HHonors password before today, then you need to change it again to get the free 1,000 points. 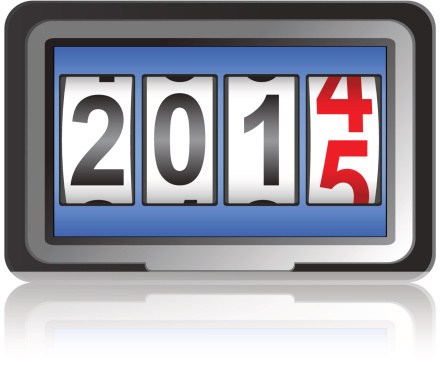 You must change your password by March 25th to get the 1,000 free points. On the left side under the My Profile section, click Personal Information. That’s it. A pretty easy 1,000 points while making your account more secure. That’s a win-win. 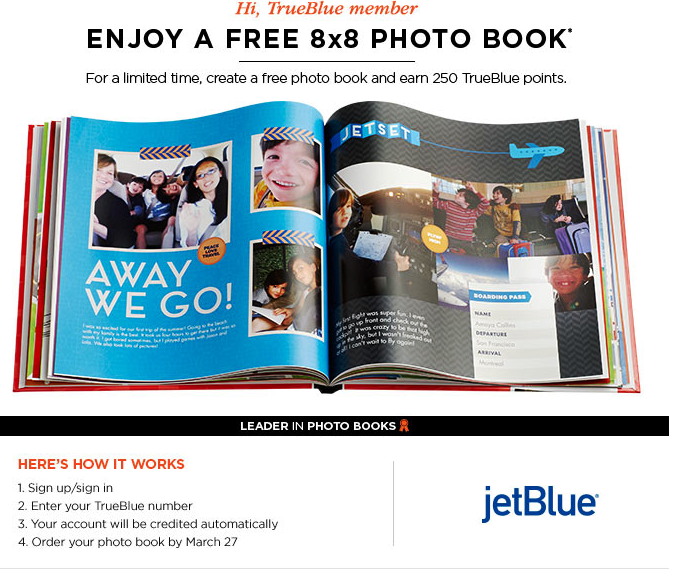 If you are a member of JetBlue’s frequent flyer program, you may have gotten an email from JetBlue offering you a free 8×8 hard cover photo book, 50 free prints and 250 JetBlue TrueBlue points for signup for Shutterfly and purchasing the “free” photo book. You must signup via the link below by February 1st and this is for new Shutterfly accounts only (hint: use a different email address if you already have an account). Here is a direct link to the offer. The “free” photobook will cost actually cost you $7.99 in shipping fees but considering the normal price of a Shutterfly 8×8 hard cover photo book at $29.99 (currently on sale for $22.49) this is actually quite a good deal. The 250 JetBlue points are icing on the cake to me but not worth doing solely for the points. This could be a nice way to print out some memories from your travels and earn some extra points on top of it. 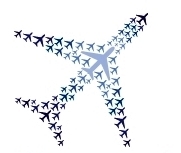 Here is a quick rundown of what you should know about in the points & miles blogosphere. 1) 1,000 Free Hyatt Points (Targeted) – Hyatt sent out emails to certain Hyatt members offering them 1,000 Free Hyatt points as a way to say thank you for being a member. If you got the email, all you had to do was click the link in the email by January 31st and you would receive the 1,000 points. It is widely speculated that the only members to receive the email from Hyatt were Chase Hyatt Visa credit card holders that were also Diamond members. I have the Hyatt Visa but I am not a current Diamond member (I was earlier this year) but I did not receive the email. You can try to register for the free points at this link here but it wouldn’t work for any of the accounts I manage. Otherwise if you are a Chase Hyatt Visa holder and a Diamond member check your email folders, especially your spam folder as some people reported seeing their email in their junk folder. 2) Double Points on Purchases at Small Businesses for American Express Everyday Card Holders – If you have an American Express Everyday or Everyday Preferred credit card, you can register for a special promotion from American Express to earn 2x points on purchases made at small businesses. The link to register can be found here. This offer comes on the heels of Small Business Saturday (see next paragraph) so it is encouraging to see Amex entice customers to continue to shop small. 2x points won’t make you points-rich overnight but it’s better than nothing. Here is a map of small businesses that would qualify. 3) $10 Small Business Saturday Credits Now Posting – This past Saturday was Small Business Saturday and I mentioned earlier how for each American Express Card you have (including authorized users cards, prepaid cards like Bluebird & Serve and even store Amex card like the Macy’s American Express) you could earn a $10 statement each time you spent $10+ at a small business, up to 3x per card. So you could effectively make three$10 transactions per Amex card and receive $30 in statements credits thereby making your purchases free! Andrea & I had a total of ten Amex cards between us and we scored $300 worth of free stuff! We bought $200 in gift cards at a small, local grocer (swiping $10 at a time) and then purchased a $100 gift card to our favorite Italian restaurant in the area (again swiping $10 at a time). While checking my statements online today, I noticed that all the $10 credits hit my account thereby confirming we received $300 free in gift cards! While Amex does say it can take 90 days to receive the credit, check your account to see if your credits have posted. 4) Earn Miles for Parking – I’m always interested in earning more miles, especially in cases where I am not currently earning any miles. There are several parking programs, Thanks Again & PreFlight Parking in which you can miles for parking, mostly related to airport parking. The earning ratio appears to be a mile per dollar spent on parking in most cases which isn’t a ton but if you frequently park at airports before your travels, you might as well earn some additional miles for it. Check out MileNerd’s post for more details on the different programs.